Breast Augmentation explained by Dr. E. Ronald Finger. With so many options what technique and what type of implant do you choose? Among the most popular procedures in the field of plastic surgery are those that enhance the appearance of the breasts. These treatments can restore balance to the body’s proportions and improve contours, increasing the patient’s self-confidence and comfort. Our main office is located in Savannah Georgia and our surgery suite is located in Bluffton SC. 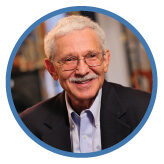 Dr. Finger is a board-certified surgeon with over 40 years of experience as a Plastic Surgeon. He was also the first board certified Plastic Surgeon in Savannah. View our gallery Dr. Finger has performed more breast augmentations and breast lift surgery than any other surgeon in the area and believes in producing natural results that can last a long time. There are different techniques that can truly make a difference in outcome, healing time and the final look, he says. Read about Rapid Recovery Breast Augmentation and Auto-Augmentation to learn about the advantages. Check out our Specials page, and don’t forget the Realself.com forum. Dr. Finger has answered over 1300 Questions about various Plastic Surgery Procedures on realself.com and is well respected in the community. Breast augmentation surgery requires an implant to increase the size of the breast and to improve the shape of the breast. Saline or silicone implants are placed beneath the breast tissue or beneath the chest muscle. This procedure is popular with women who feel that their breasts are too small for their bodies. Many women whose breasts have decreased in size due to weight loss or pregnancy opt for Breast There is a wide range of options for today’s Breast Augmentation patients. The size, shape, and type of implant, as well as the location of the incision and the placement of the implant, are all decisions that should be made during your initial consultation with Dr. Finger. Dr. Finger performs all of the currently available breast augmentation techniques, including the trans-axillary approach, which uses an incision in the underarm area. The more traditional options are the inframammary incision in the crease beneath the breast and the periareolar incision at the edge of the areola. Some of these methods can only be used with saline implants, so patients who are having silicone or cohesive gel implants placed will have fewer options for the placement of their incisions. Breast augmentation surgery and Breast lift surgery are often combined to create a thoroughly enhanced and rejuvenated appearance. Click here to read more about Breast lift surgery. Dr. Finger opts for a technique called “Rapid Recovery” Breast Augmentation – Shorter Healing Time means less Downtime! Recovery from breast augmentation surgery used to be a slow and painful ordeal. With the rapid recovery system, pioneered by Dallas plastic surgeon John B. Tebbetts, patients can return to their normal activities much more quickly and endure much less discomfort. By using a special technique to create the pocket for the implant, our surgeons reduce the impact of the surgery on the surrounding tissue, resulting in less bruising and eliminating the need for drainage tubes or compression garments. 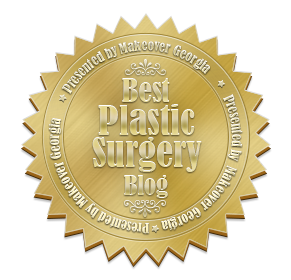 What is a Breast Auto-Augmentation? “Auto” is an abbreviation of “autologous,” meaning one’s own tissue. Auto-augmentation is a relatively new technique that lifts and augments the breast using the patient’s own tissues. While a traditional breast lift can restore the breast to a more youthful shape and position, it cannot provide the fullness at the top of the breast that some women desire. Prior to the development of the auto-augmentation technique, breast implants View 3D Demonstration were the only way to create this shape. With this procedure, a portion of the patient’s breast tissue is positioned in such a way as to add fullness to the top of the breast, enhancing cleavage without necessitating the use of an artificial implant.